After watching this tutorial by weshipdhr. 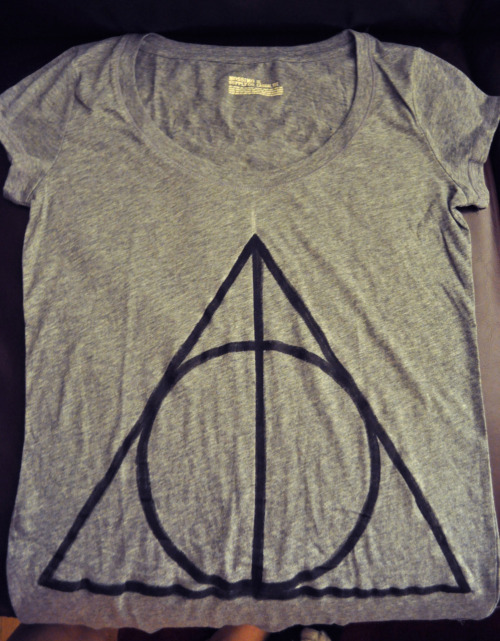 I was inspired to make my own version of the Deathly Hallows Shirt last night. If you want to do it too – you can watch the tutorial or follow along with my pics. Go over the chalk with your black acrylic paint. I recommend doing a thin line to outline and then going over it more thickly. It just depends on how you want it to look. 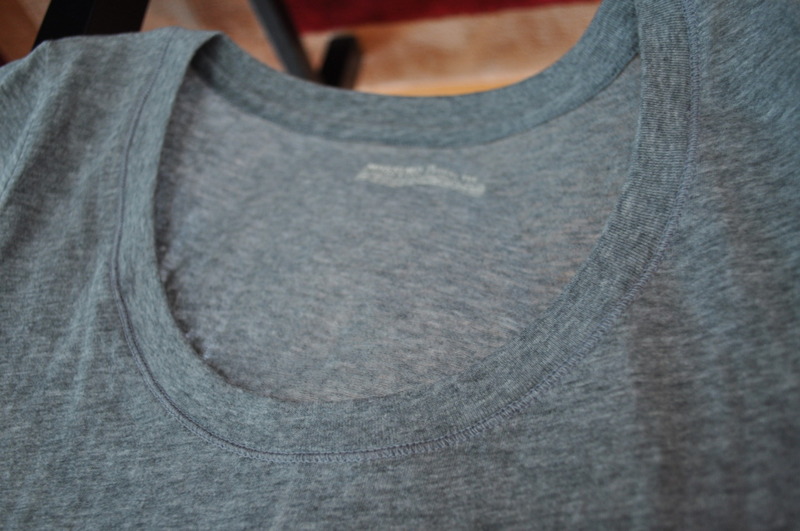 After the front has dried, flip the shirt over and draw three even horizontal lines. Then write a quote from the book. 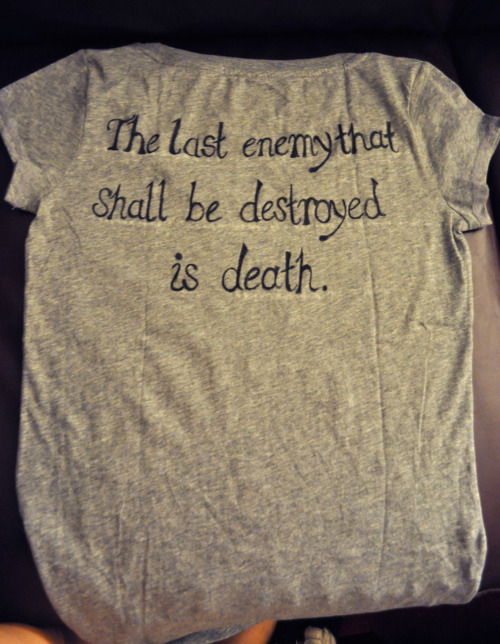 As you can see I chose “The Last Enemy That Shall Be Destroyed is Death.” Which in HP is the quote on Lily & James’ grave, but it is originally from the bible.